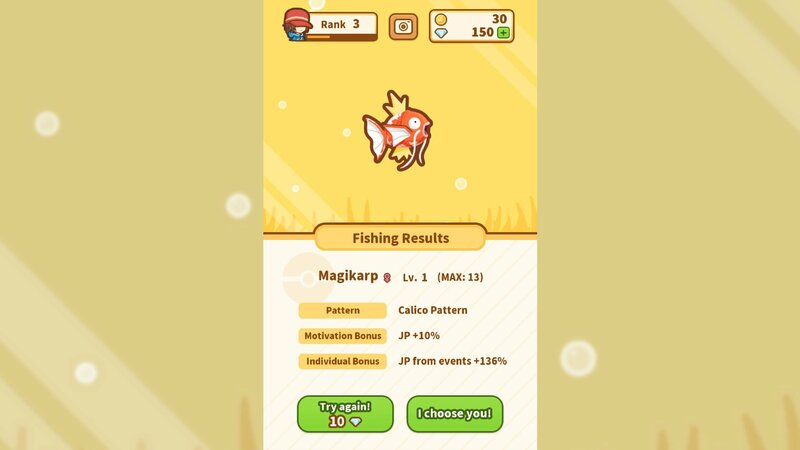 Gone are the days when Magikarp's occasional utility was just a fluke; now that players have gotten their hands on Pokemon: Magikarp Jump, the floppy and flimsy fish has finally been launched toward proper stardom. As is the case with all dry-ground denizens, however, a fish is of very little utility before it's been properly caught. 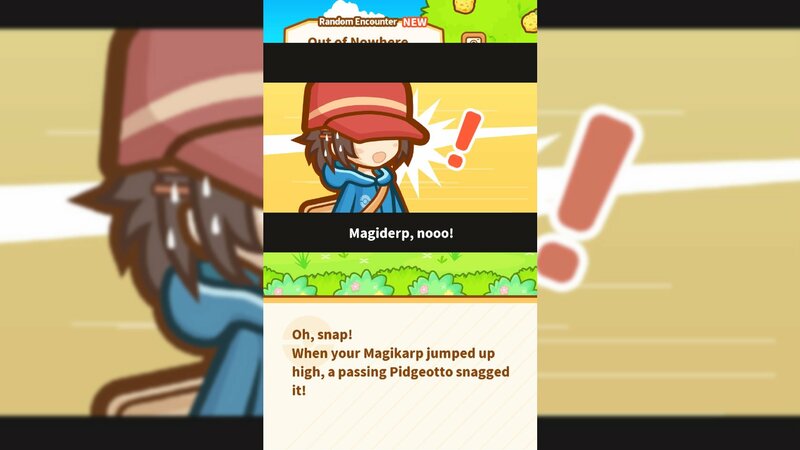 Thus, we bring to you, the curious Magikarp Jump player, an essential guide on how to fish and catch Magikarp in Pokemon: Magikarp Jump. There comes a time in every Magikarp trainer's career when it's time to find a new Pokemon to train. Magikarps can lose their luster after enough battling, after all, and retirement isn't the only thing threatening to take a player's Magikarp out of the picture: sometimes asking too much of your Magikarp can result in less-than-fortunate consequences. On the bright side, there's more than enough Magikarp in the pond. 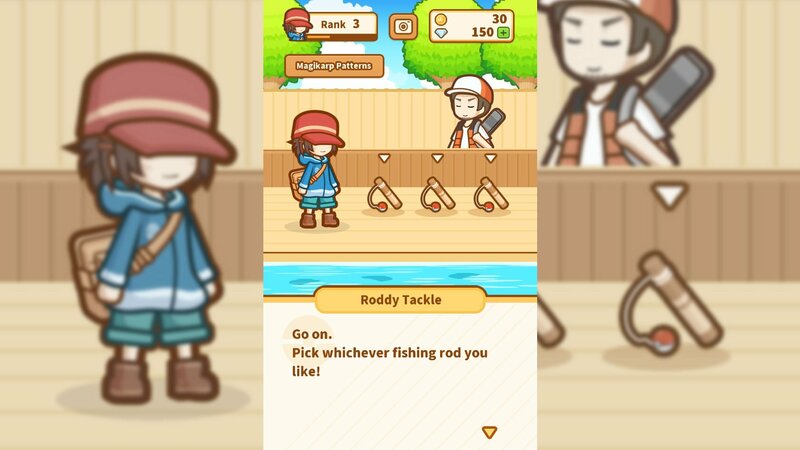 Once players are ready to fish for a new champion, the trainer will automatically head over to the pond, wherein familiar angler Roddy Tackle will offer up a selection of rods for the player to choose from. 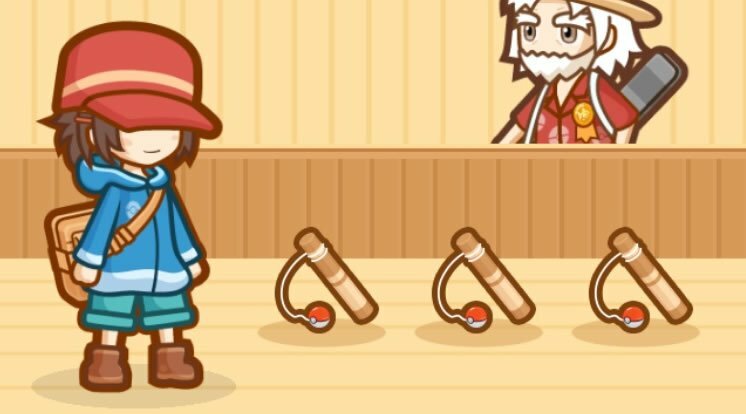 Players will initially only be able to select from various Old Rods, but through time and increased trainer levels, more rods will become available. From there, the trainer will automatically approach the pond and drop lure. After a short wait, an exclamation point will appear above the trainer's head, and a simple tap on the screen will pull the new Magikarp out of the pond. The creature's stats, bonuses, and patterns will be randomized, but players who aren't terribly fond of their catch can always spend 10 diamonds to try again. Now that a fresh new Magikarp has been summoned, players can get right on back to feeding, training, and battling. For even more information on Pokemon: Magikarp Jump, check out our guide on how to train Magikarp and start winning battles. Looking for more free-to-play goodness? We've got a host of hot titles featured on our list of the Best Free To Play Games.